We have made it easy for you to purchase gift certificates. 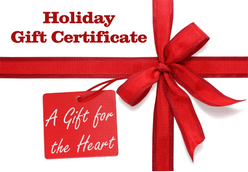 Your gift certificate can be emailed to someone or you can print it from your home. Click on Image below to purchase.